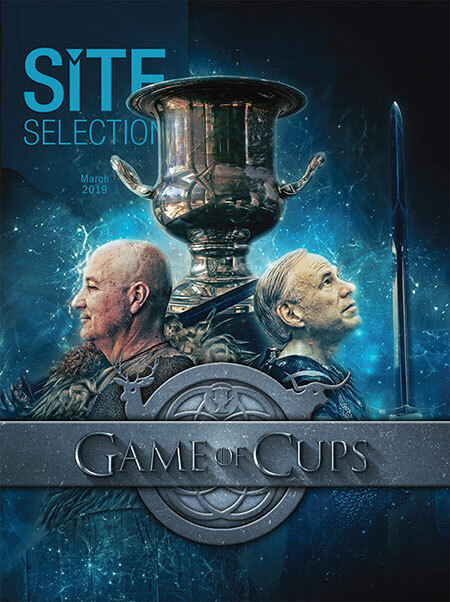 Yes, we could be called a tad repetitive, if you’re a reader of Site Selection for more than a couple of years, particularly of the March issue. But both Nebraska Governor Pete Ricketts and Texas Governor Greg Abbott are no less deserving of their respective Governor’s Cups for economic development success in 2018 than they were the last few times they won. This is the Nebraska chief executive’s third consecutive win and his state’s fourth; Gov. Abbott adds a fifth consecutive Cup to his state’s collection that now boasts seven. You may experience some déjà vu, too, when you get to our coverage of Top Micropolitans and find that Findlay, Ohio tops the list — again. My point is to congratulate the winning governors and mayors of all the states and metros appearing on the rankings in this issue. If they’re on those lists, for however many years has been the case, then whatever they’re doing in economic development is working rather well. No, it’s not a coincidence that several other governors are featured in this issue — five in addition to Governors Abbott and Ricketts. Why stop at two? Three are new to their offices — Brian Kemp of Georgia, Michelle Lujan Grisham of New Mexico and J.B. Pritzker of Illinois. Larry Hogan has been governor of Maryland since 2015, and John Carney has led Delaware since 2017. We talked to all five for this issue. We were as interested in getting to know the new ones as we hope you are, especially if you currently have operations in those states, or if you one day might. Any one of them might one day be featured in these pages as having won a Governor’s Cup for total or per capita projects. You read about them here first. Rural economic development was a common topic in my discussions with Governors Abbott, Ricketts and Kemp, a topic each is focused on acutely. All three understand that there are key resources to be cultivated well outside the major urban areas in their states. These include emerging technologies in their agriculture industries, for example, that will one day make farming even more productive and their states more prosperous. All three have plenty of interstate miles on which to test autonomous vehicles for their logistics industries as that technology matures. Other examples abound. Think of Micropolitans — the successful small cities in rural counties throughout the U.S. that attract capital investment — as laboratories, locations where ideas and technologies can be developed, tested and commercialized away from the spotlights and the HQ2 competitions. As Gov. Abbott notes in the cover story, the small projects are just as important to the small communities as the big ones are to the big cities. It’s time for Small Town America to get some attention, and some new and existing governors will see to it.